Scars may be obvious because of poor scar quality or location. Scar appearance can be improved with both non operative techniques and surgery. Many factors will influence the quality of a scar and include; the nature of the injury or surgery causing the scar, the location of the scar, the person’s innate wound healing properties, racial background, disease states, smoking, the technique of wound repair and the presence of any complications during the wound healing phase. Usually red, raised, itchy and occasionally painful. These scars may improve with time but a stretched or wide scar may remain. The back, chest and shoulders are areas prone to hypertrophic scarring. These are extreme forms of hypertrophic scars where the thickened scar “mushrooms” and extends beyond the boundaries of the original wound. These scars become thick, puckered, firm, itchy and occasionally painful. Darker skinned races, burn injuries, younger patients and wounds on the chest and ears are all more prone to keloid scars. Some areas, where the skin is under tension are prone to develop stretched scars, for example over the knee and elbow and back. If the wound has been repaired with inappropriate suture material (the stitch itself), or if there is a problem with wound healing, stretched scars may result in these areas. The face has an excellent blood supply and consequently heals quickly. However, the location of facial scars (e.g. acne scars and traumatic scars) may make them cosmetically unacceptable. Scars always shorten or contract as they mature. Extensive scars may lead to restricted mobility when they contract. This is especially true of burns scars and scars in the creases of the armpit, groin, neck and around joints. It is impossible to remove a scar to its pre injury state. The medical and surgical treatments aim to improve not eradicate the scar. This may produce a more comfortable, more mobile and less noticeable scar. Usually a combination of techniques is employed. Scar revision is usually not urgent and should be delayed until the scar is mature (provided no earlier complications have occurred). You are in charge of making that decision. You should discuss the options fully with your surgeon before proceeding and only make the decision once you feel you have been fully informed. These may be used in isolation or as an adjunct to surgical methods. These techniques can be used initially to prevent problem scars from forming. Adhesive tape e.g. micropore tape, can be placed over a wound for 6 weeks to stop a thick scar from forming. This paper tape also helps to “stent” a wound to prevent it from stretching. Steroids can be used as a topical cream or injected directly into a scar to reduce a thickened scar. Injections are more effective than creams, and several injections may be required. Silicone gel is used as a dressing to help prevent or to treat hypertrophic scars. Compression garments are routinely employed over large scars, such as burn scars, to apply a constant pressure. This has been shown to flatten raised scars or to prevent their formation. Physical therapy such as massage, stretching and physiotherapy may help relieve the discomfort of contracted scars. Cryotherapy is the application of liquid nitrogen. The freeze – thaw cycle causes blistering which then heals as a more shrunken and less noticeable scar. Chemical peels Cause the skin surface to be shed and produce an effect similar to dermabrasion (see later). Soft tissue fillers may either be from the patient (fat) or artificial (Restylane, collagen, implants). These can fill out depressions left from scars. Radiotherapy 2 or 3 sessions of radiotherapy immediately after surgery may be used. This is generally reserved for extreme cases of keloid scars that have failed other forms of treatment. Smaller scars can be revised under a local anaesthetic and be performed as a day case or out patient procedure. Dermabrasion refers to a precise electronic “sanding” machine which removes the top layers of skin. When the skin surface re heals, the scars become less obvious. This is used for ice pick or pockmarks which can follow acne and chicken pox. Excision Simply removing the scar and closing the new wound accurately, with approximation of all the layers of the skin, can produce a thinner, less noticeable scar. Breaking a long scar into multiple shorter ones that are less noticeable. Skin grafting may be required where extensive scars need to be excised, and the resultant raw surface needs to be resurfaced. Flap surgery involves the transfer of healthy skin, fat and muscle along with its blood supply. The importation of new tissues leads to improved function and mobility. The cosmetic appearance may not be dramatically improved as subtle differences in skin colour and texture may occur. 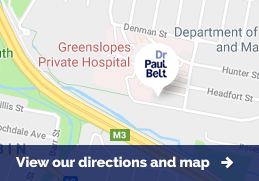 Dr Belt will give you specific post operative instructions relating to the care of your wound after scar revision. Most people will have to wear a paper tape (micropore) for 6 weeks after the operation. The initial scar will be red for up to a period of 4 months. It is important to protect the scar from sun exposure for a couple of years after the revision. Excessive sun exposure will increase the duration of the red phase of scar maturation, as well as causing excessive pigmentation to the ultimate scar. Further adjuvant treatments may also be required such as compression garments, physiotherapy and use of steroids. The risks will be discussed with you in detail before you consent to the operation. The risks can be broken down into general risks associated with any operation, and those specific to scar revision surgery. Specific risks include delayed wound healing, excessive pain, allergies to the dressing used, a worse scar after the revision than before, abnormal scarring with a recurrence or worsening of hypertrophic, keloid or stretched scars, and loss of the graft or flap used to resurface the scar. General operative risks include anaesthetic complications, bruising, bleeding, infection, and wound breakdown. All of these risks are increased in smokers, and smokers can not expect good results from scar revision surgery.